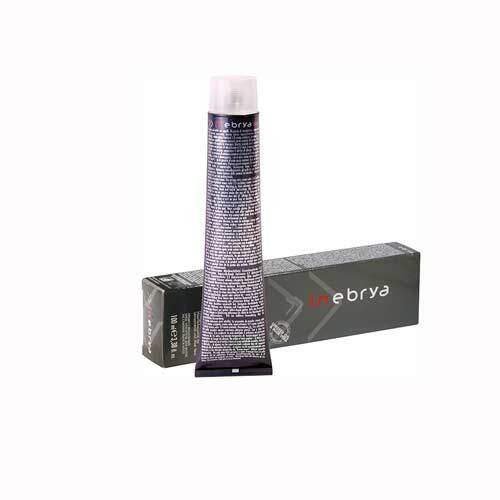 Innovative professional colouring cream COLOR is the BIONIC INEBRYA permanent ammonia is combining the cosmetic properties of collagen and conditioning with illuminating and revitalizing benefits of Sapphire Crystals for a total Color result ' pure ' uniform and protected. Keratin restorative qualities combined with those nourishing and emollient properties of cottonseed oil shall implement a genuine regeneration of the hair during colouring ' ensuring 100% coverage of grey hair with rich color is intense and brilliant with full respect of the capillary structure and balance the skin. The total absence of ammonia emissions and the protective effect of natural active ingredients enable the professional to operate with maximum comfort and maximum safety for the customer. 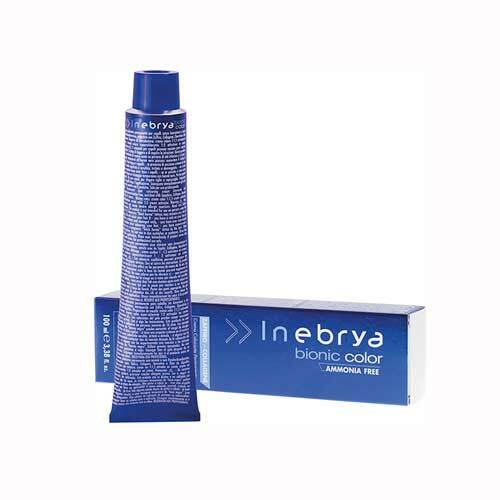 To ensure maximum performance of the service of color without ammonia ' INEBRYA BIONIC COLOR must be mixed with OXYCREAM's Multi action high oxidizing cream cosmetic action that produces a mild, creamy soft colouring mixture ' is easy and smooth to apply. Its action is highly nourishing and protective stabilizer makes hair soft-bodied ' healthy ' most vivid colours ' brightest most vibrant ' is more long-lasting. shades: available in 63 shades. directions for use: mix in a non-metallic Bowl 50 ml 75 ml OXYCREAM BIONIC COLOR (100 ml + 50 ml BIONIC COLOR Lighteners: OXYCREAM). Evenly distribute the mixture on dry hair unwashed. Once the shutter is emulsify with care ' then rinse thoroughly the hair until the water becomes clear and make the Shampoo Inebrya for colored hair.